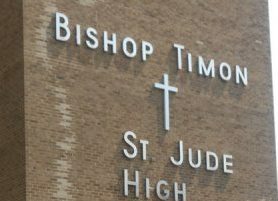 Joe Licata has no experience as a high school administrator or head coach, but Bishop Timon-St. Jude supporters can rest peacefully knowing the Tigers are in good hands with him taking over as athletic director. He has all the qualities needed to restore order after Charlie Comerford resigned last month. For starters, Licata is among the most upright and upbeat people you'll meet anywhere on any level. He was a football and basketball star at Williamsville South and a terrific quarterback at UB, but he was respected in both arenas far more for the way he conducted himself than what he accomplished on the playing surface. Licata seemed destined for coaching long before his playing days were over, a matter of time before he combined his football IQ with his friendly demeanor and communication skills. Spend a few minutes with him, and you understand he's a natural leader with his head on straight. No wonder why the 24-year-old landed on Timon's radar. He's young and energetic and competitive, a good human being with an infectious personality, the son of a great coach and administrator who grew up understanding the impact athletics can have on young people. The worst thing I've ever heard said about Joe Licata is that he threw a bad pass. I don't know the other candidates, but I'm absolutely certain Timon hired a good one. On the surface, Licata is exactly what Timon needs while trying to navigate treacherous waters that threaten to sink the school. The issues run much deeper than having a competent athletic director and football coach. In fact, coaching football will be the easiest part of Licata's job. It's not a stretch to suggest he could help save the school. Let me be clear: Timon isn’t in imminent danger, and Licata shouldn't be considered a savior. But there's little disputing the once-proud Catholic school has lost leverage in the community over the years. The likes of St. Joe's and St. Francis made massive multimillion-dollar upgrades to their sports facilities, whizzing past Timon in an athletics arms race. Sports aren't everything, but let's not kid ourselves, either. Young athletes and their parents decide where they're going to attend high school based partly on the strength of their athletic programs. The more attractive the schools, the greater demand for them, the higher the tuition, the more revenue generated from outside sources. Canisius High's sports programs suffered for a few years before kids started showing up from places well beyond Western New York. Now it's revered. St. Mary's of Lancaster has benefited from increased population in the area and kids wanting to attend co-ed private schools. St. Francis and St. Joe's gained respect and became destinations. The cold truth is that Timon has had a difficult time keeping up. The chore for Licata will be raising money for sports, which will relieve financial pressure from the school, contribute to paying the bills and ultimately helping to keep the doors open. Timon isn't going to survive on academics and tradition. It needs pride in athletics, which improves the school's overall reputation. Licata attended a good public school that didn't need financial backing for its sports programs. South will continue cranking out graduates so long as there are kids living in Williamsville, which has three public high schools. Their teams' success on the playing fields has little effect on the school itself. Timon is a different animal. For generations it has stood as the geographical and emotional heart of South Buffalo, the hub for Irish Catholic families who viewed the school like a parochial slice of Notre Dame. Timon isn't just a small, charming private high school located on McKinley Parkway. Like its surrounding community, it's a state of mind. Timon kids for years took pride in not having the most or the best or the newest because they had one another. They shared an unmistakable toughness and brotherhood that was easier to recognize than describe. Years ago, it came through on their scrappy sports teams that beat others that had more talent. Although the student body remains rich with kids whose fathers and grandfathers attended the same school and had similar upbringings, many loud and proud Timon supporters examined the educational and athletic landscape in recent years and decided their sons would be better served going elsewhere. Bishop Timon-St. Jude High School is located on McKinley Parkway in the heart of South Buffalo. Comerford, a terrific athlete in his day, arrived with the best intentions for his alma mater before things fell apart. He understood the inner workings of the school and connected the dots in a close-knit community. He gathered the masses and raised money for athletics, relieving the school from financial strain. Why a strong marriage collapsed remains unclear. Comerford resigned last month and released a statement that failed to clarify his rationale. The South Buffalo rumor mill, which churns like none other, has been running at full capacity since his departure. In the big picture, his reasons for leaving don't matter. What does matter is how Timon will move forward. Licata inherited problems that have been festering for years while other private schools invested in athletics. Timon doesn't have the money to keep up with the Joneses when it comes to sports facilities. Even if it did, it doesn't have space adjacent to the school to make it more attractive. Licata arrives with name recognition, which should help him in the short term. For example, there was talk of rising senior quarterback Matt Myers leaving the school after Comerford did. 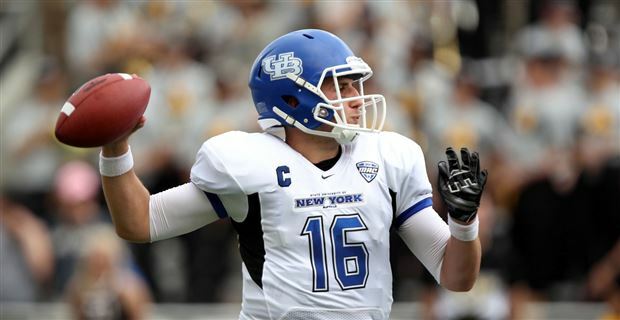 Myers would be hard pressed to find a better quarterbacks coach, and mentor, who could prepare him for UB than Licata. Licata should consider moving to South Buffalo and becoming engaged in the community. He'll gain an appreciation for its people, for its parishes, for its youth programs and overall vibe. He could sell himself and show people what I've known for years: He has pure intentions and is someone you want on your team. The irony is this: Licata was a smart hire because he didn't attend Timon and isn't from South Buffalo. He comes from the outside with a fresh set of eyes, which should stimulate new ideas. He doesn't have deeply rooted relationships and hasn't engaged in petty politics that can compromise his program. Timon is getting a good man here, and it should be a good fit. Whether it works will depend on whether people back up their support for Timon with action – and money. Licata is going to give an honest effort and run an honest program. Timon should hope it someday becomes a reflection of him. Otherwise, the school could be in trouble.